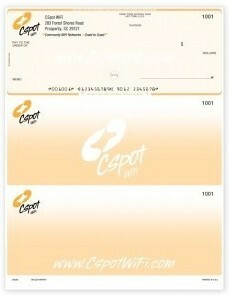 Custom Logo Business Voucher Checks & more for Less! 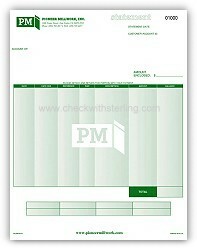 We can help you design your own custom checks! 3. Paste-up proof/s. Designers can submit artwork. Solomon . RealWorld & more! Altered and Custom formats too...at no charge to setup! We now offer FREE FedEx Ground, 3rd Day Shipping for all Imprinted Laser and Continuous Checks and Form orders...applies to New Orders and Re-orders 1,000 to 10,000 quantities in the lower 48 U.S. States only! ©1991-2011 Sterling Business Services, Inc.